Sash windows are well crafted and functional frames providing homes with an old world charm and neat appearance. A lack of maintenance can compromise the integrity of these structures causing paint to peel, wood to rot and difficulty opening or closing the window. With Mortice and Green, we repair any sash and restore it to the original condition with quality workmanship guaranteed. Vintage, simplicity, charm, and functionality come to mind when describing sash windows, but without the correct knowledge and management, these frames can soon perish. Whether you have purchased a home with worn windows or wish to renovate your current property, it is more affordable and beneficial to call on experts for restoration rather than removal. A professional inspection can determine whether restorative efforts are possible including new design and replacement of worn or cracked exteriors. Poor operation of sashes can cause a reduction in the efficiency within the home. During the winter months, homes with broken or worn windows experience more drafts allowing cooler air indoors and double the amount of work from heating appliances to regulate inside temperatures. Trusting the repair of frames to specialists in the industry will replace broken framework and seal off areas allowing airflow into the home, improving energy efficiency. For problems with sashes, do not just hire any person who deals with window replacements and fixtures. 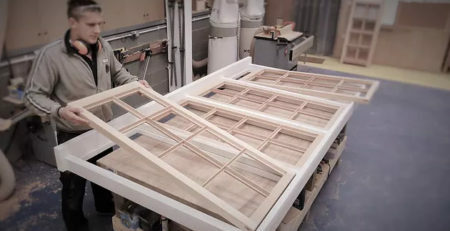 Many people may lack experience in working with wooden frames and the specific technique or tools required to restore such features. Mortice and Green are highly qualified and skilled professionals who are experts in handling different sash window requirements from complete replacement to repair. Where windows and frames are no longer in mint condition, it is time to call on experienced and skilled professionals in the industry. The experts will come out to the property to inspect the structures and determine the fixture that must be completed. In many cases, these older designs simply need to be repaired and restored rather than renovated making for a more cost effective choice. A professional repair service can replace and fix worn timber, damaged putty, poorly operational pulleys and other signs of wear and tear. Having professionals tend to these problems quickly can prevent severe deterioration and the high costs of having to get the entire window and frame replaced. Experts who work with wood must be consulted as many people only work with metal or PVC frames and may cause more damage. Keeping the original sash window design will add considerable value to your home and a unique appeal that simply cannot be replicated. The particular style of windows calls for old world charm and true character that is warm and inviting. Looking to replace these structures with alternative products may decrease the value of the property and contribute to unnecessary expense. Many historical buildings and architecture have old sash windows marking the trend of the specific time period. Unfortunately a lack of routine management can leave these features worn and deteriorated taking away from its aesthetics and history. Major problems with damaged structures include ongoing drafts, noisy windows and a serious lack of appeal that takes away from the beauty of these features. If you are not familiar with the operation of these styles of windows, repairing it without the aid of professionals can compromise it even further. Pulley damage, poor wiring or improper seals of the wood may cause a bad fit and compromise the entire operation. You may have to call on the experts to address additional faults that will result in additional cost and time in repairs. Knowledgeable and highly experienced professionals are familiar with the operation and style of all types of sash windows. There is no job too big or too small for Mortice and Green ensuring that your windows are restored to its original form and function. Trusting these fixtures to the right people will provide the best value and a high standard of workmanship. The completion of sash repairs by reputable professionals can stop windows from causing ongoing rattling inside the home. During the process of fixing these windows, the technician can advise on ways to prevent degradation and keep the feature in the best possible condition. Simple maintenance efforts can provide the greatest results ensuring that it remains fully operational. Having windows restored and fixed will prevent drafts from entering the property ensuring higher levels of energy efficiency. When warmer air produced by air conditioners and heaters remains within the home, it can save on excessive consumption of electricity or gas to produce the desired internal temperature. Skilled technicians can provide peace of mind that the proper standards in repairs and aesthetics are met. Maintaining efficiency within the home will keep rooms cooler in the summer months and warmer during intensive winter conditions. It can be difficult to manage use of electricity when poor insulation inside the property causes greater reliance on heating and cooling equipment. It can save on utility bills and handle temperatures in affected rooms. Restoring the sashes to its original condition makes it easier to operate as any deterioration is removed and all components carefully replaced. Smooth gliding mechanisms must be delivered when opening and closing windows without any noise or obstructions. Never force these windows open as it could lead to sudden breakage and extra expenses in having the fixtures completed. The company completing the repair and restorative work will offer certified services for the enhancement of sashes. A guarantee on workmanship is delivered to provide customers with the satisfaction that the job is completed correctly the first time. Professionals will advise on caring for the restored windows to extend its longevity and prevent against the complications associated with general wear and tear. Mortice and Green offers comprehensive and professional services aimed at repairing all styles of sashes. Windows that are worn or no longer opening and closing properly will have to be investigated and restored with the assistance of reliable and reputable technicians. Investing in the traditional and beautiful design for your home can provide exceptional value, energy efficiency, safety, and simple operation.